so as moonbeams danced through the curtains, she welcomed the day. 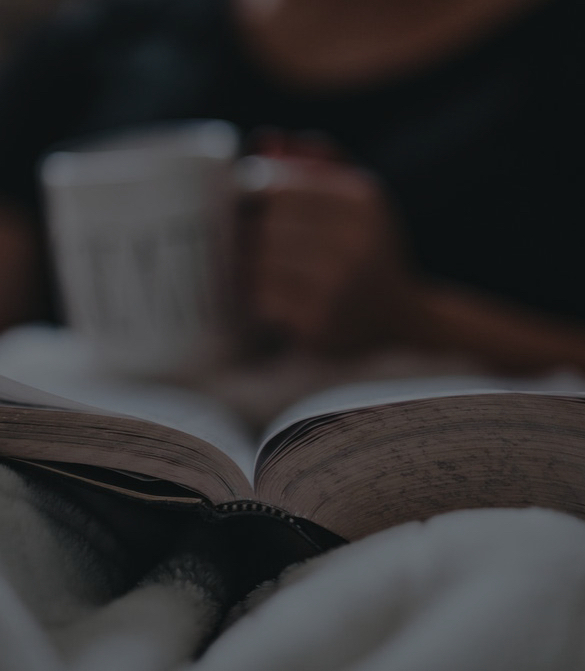 She sipped cocoa, rocked in her easy chair, and thanked God for His Word. Her Bible was to her the best love-letter ever; each promise masterfully written for her. “My Jesus,” Jenny said, “Am I prepared to share Your love when this visitor comes?” Doubts invaded her thinking. She feared she was inadequate for the task. How could she possibly say anything that would break the mental chains of a cult? Birds began their morning song. Jenny heard the baying of cattle, ready for their breakfast. She knew she must begin her chores. But, she lingered with her Beloved Jesus. He must take center stage. Only He was adequate to quell her fears. She again drifted into the abode of her Beloved Jesus’ peace. Hugging her Bible tight, she wished she could touch her blessed Savior. At least she could touch His written Word. “Hello, ma’am. We are from…” said the elder. The elder lady began discussing doctrine. She challenged Jenny on her beliefs. What did the Bible say about Heaven and Hell? What was the end-time scenario? At first, Jenny tried to answer, but she soon realized it was irrational to counter the elder’s doctrine. Every time Jenny thought she was making inroads, the elder would turn to her iPad and look at notes. The elder lady was silent. “Is your god personal to you, or does he seem distant?” Jenny asked. The ladies looked at each other. The elder shrugged. “Yes, please…” It was the younger who spoke. Jenny turned to the younger lady, “And because you asked, let me help you to find whom you seek.” Jenny motioned for the younger’s hands. The elder circled around Jenny and the younger, pacing nervously. “Don’t listen! She does not believe what we do!” the elder touted. Jenny ignored the elder and continued to speak. She shared how Jesus had saved her, He had healed her, and He had given her an abiding peace within her heart. She encouraged the younger to begin a relationship with Jesus so she also could experience these things. “She’s trying to confuse you. Stop!” The elder shouted. “Turn away from the group you are in and turn to Jesus.” Jenny advised. The younger nodded ever so slightly. “You are crazy!” The elder yelled. She walked straight between the two, breaking the bond of hands. Jenny waved goodbye. The younger returned the wave, secretly. Her hand bent at the wrist, two fingers lifted, head forward, but eyes looking straight toward Jenny. She dabbed her eyes as she watched a tear trickle down the younger’s cheek. It was an expected visit. “Thank You, Jesus,” Jenny said. She knew Jesus’ love had made her an effective witness. She sensed the young lady would find her way to Christ. 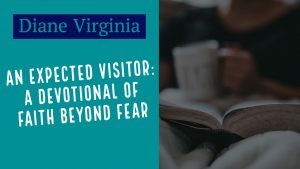 *An Expected Visitor is a work of fiction based on real life events. Diane Virginia Cunio is the author of The Kiss of Peace: An Intimate Exploration into Song of Solomon and Behind the Veil: Becoming the Bride of Song of Solomon (both books awaiting publication). She is passionate about sharing Beloved Jesus’ love for you, His Bride, as you are allegorically portrayed in Song of Solomon. 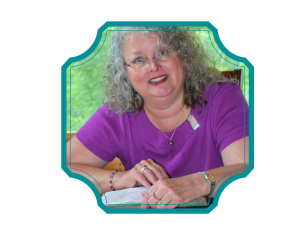 Diane has written for Christian Broadcast Network, Pentecostal Publishing House, The Secret Place, and other ministries. Hobbies include reading, homesteading, horseback riding, koi ponding, and making Scripture-inspired jewelry. Thank you for this. Cults can be so intimidating. They have all the right answers. Sometimes I am afraid to answer the door when they knock. I love this story of hope and God’s love to reach the lost. It is so inspiring. Diane, what a sweet picture of Jesus seen in your devo. He is willing (Luke 5:12-13) if we ask. 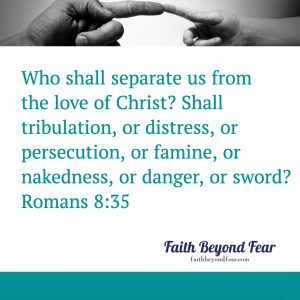 He wants a relationship with us and you illustrated how important that relationship and testimony both are as we share our faith. Our religion is a relationship with Jesus. Go and tell (Matthew 28:19-20). Thanks, Amy Merritt, for your insightful comments. Our relationship with Jesus makes us an effective witness. Very encouraging devotional! Reminds me of Luke 12:11-12 where Jesus says not to think about what you ought to say, but the Holy Spirit will give you the words to say. All we need to do is ask him to use us to speak to them. Encouraged to be a light.. and a witness of the Gospel! his story has sparked a desire in me to step out more across that line that holds so many of us back. Thank you, Diane, for sharing this story with us. Diane, I shared your post on my facebook page and invited my friends to read this. I’m sure it will inspire many. God bless you for your faithfulness. Thank you so much, sister! You are so kind. I appreciate the share and your getting the word out.